Test Mode can be activated at any time by pressing the push button ‘TEST’. 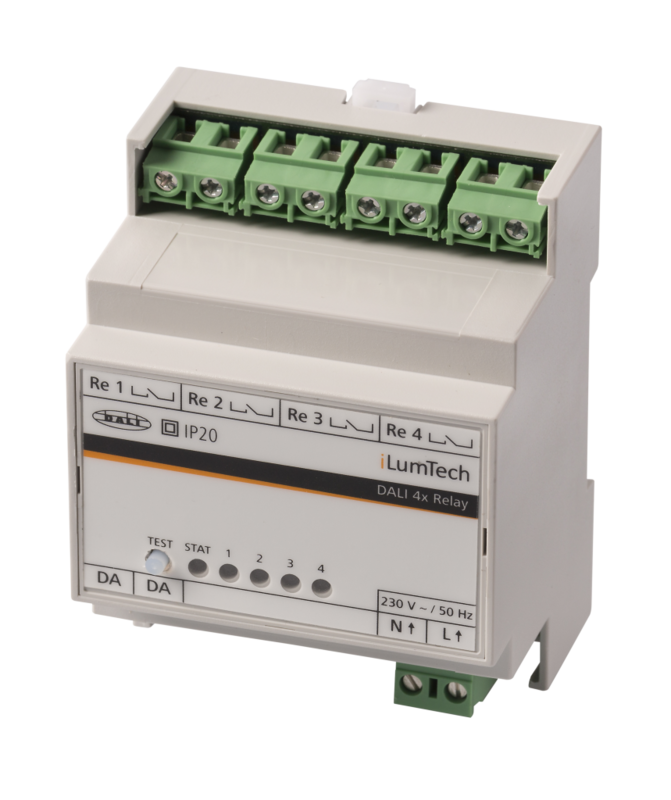 A short push of the button, for a period less than 3 seconds, changes which relay is selected, indicated by the corresponding LED indicator blinking. By pressing the push button for a period of more than 3 seconds the selected relay is switched on/off, indicated by the way in which the LED indicator blinks (predominantly on means the relay is switched on, predominantly off means the relay is switched off). The device will return to Normal Mode after 5 seconds of push button inactivity.